Let me show you our Jar Lid’s Magnets. 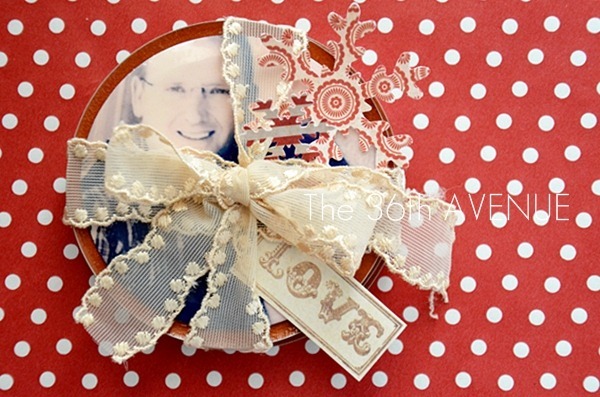 These would make a perfect gift for family members that are far away. 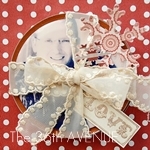 I believe any grandma would love this gift! Let me show you how I made them. So easy! 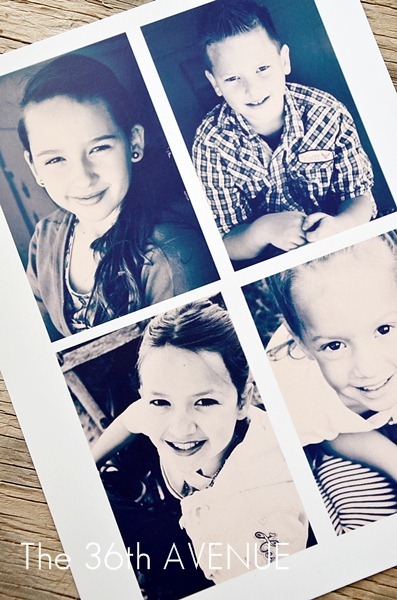 I printed my pictures on white card stock. 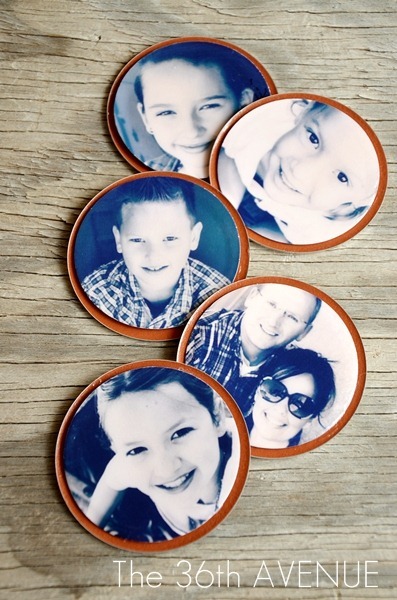 The size of your pictures will depend on the size of lids you are going to use. I got the wide mouth lid size for my magnets. 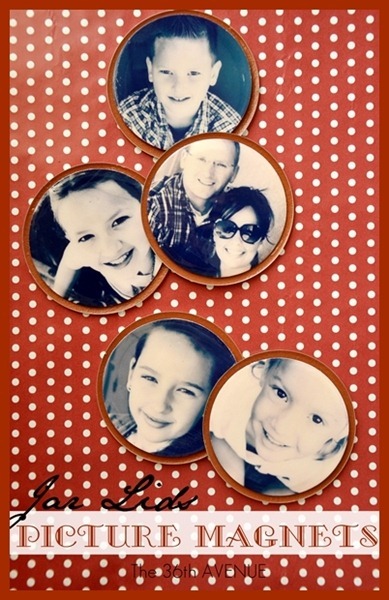 I used a 3’’ circle punch to trim my photos. It is the perfect size for this project. I centered the image where I wanted it and then I punched it. 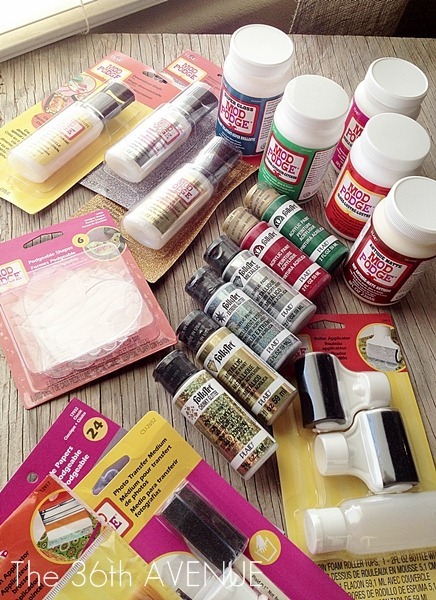 Now we are ready to have some Mod Podge fun! 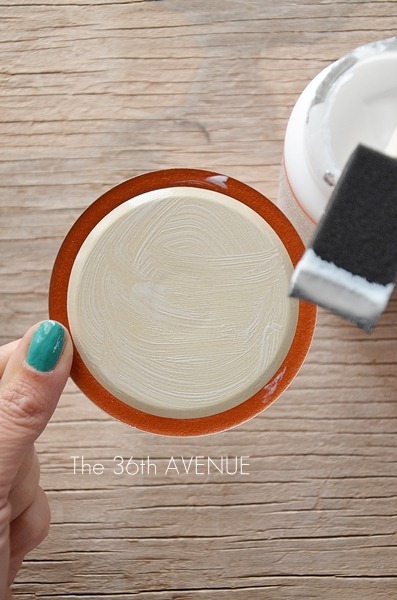 Paint the beige inside part of the lid with the Gloss Mod Podge. The red part of the lid will become the magnet’s frame. 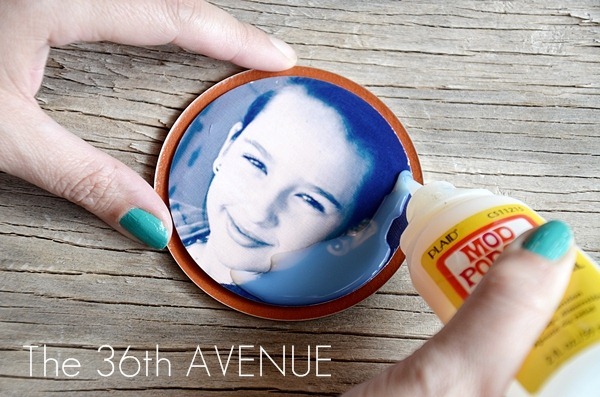 Right away place your image on top of the lid and smooth out any bubbles using your fingers. 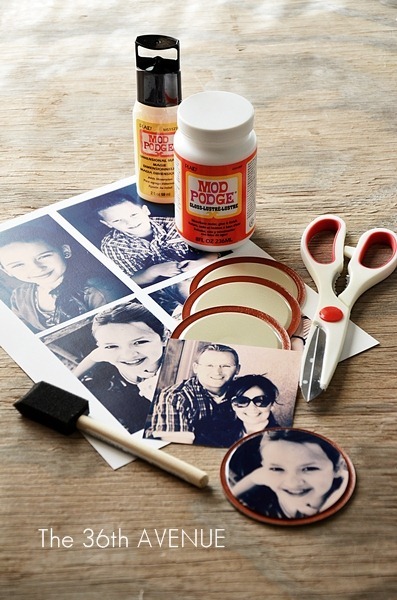 Add another coat of Gloss Mod Podge on top of the picture and let it dry. 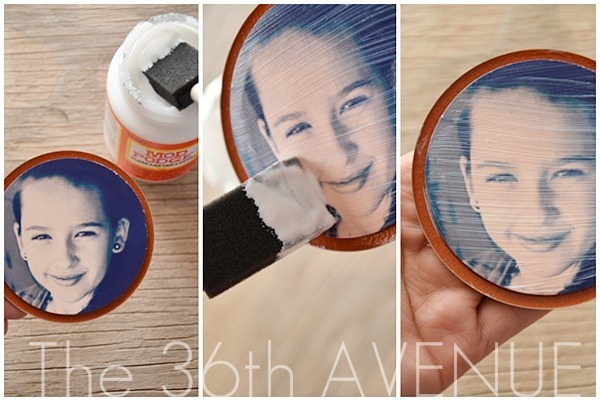 Don’t worry, the Mod Podge will dry clear. The last step is to apply a layer of Dimensional Magic on top of the picture. I would advice to do this on a flat even surface so it sits and dries flat. beautiful smooth dimensional glossy finish that you’ll love. 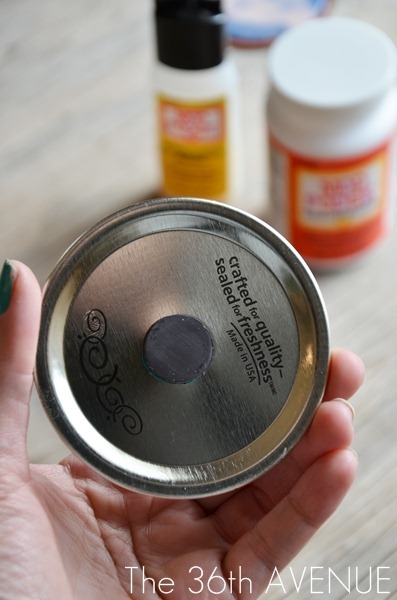 Let them dry overnight or for a full 24 hours before you add the magnets to the back of the lids. Here is one of them on my fridge! Our magnets are ready for Christmas. They are going to go all the way to Europe for my mama’s fridge! 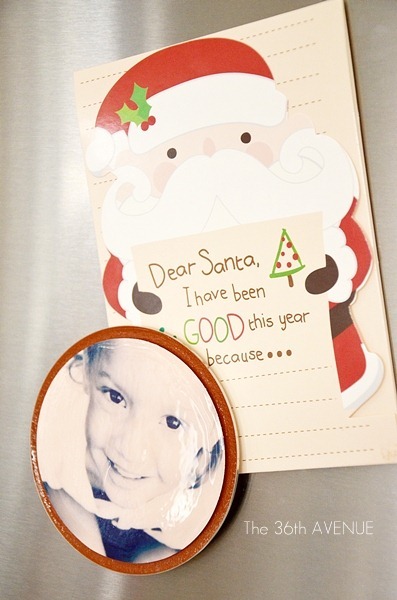 and create your own amazing Holiday Crafts! 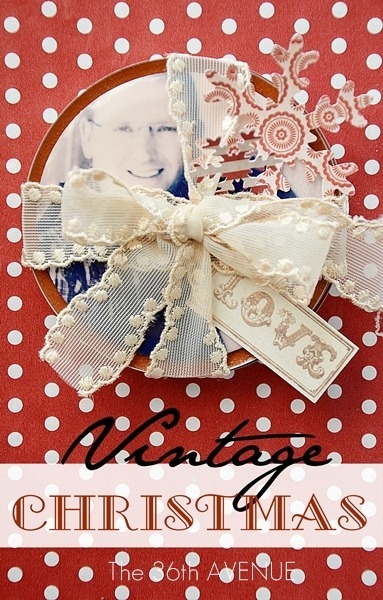 and find more about Mod Podge on Facebook, Twitter and Pinterest. Hi….I love this project! I am going to make these for the kids in my sons 4th grade class to give to their parents for the holidays. I was wondering though, what size lid did you use? Regular or wide mouth lids? 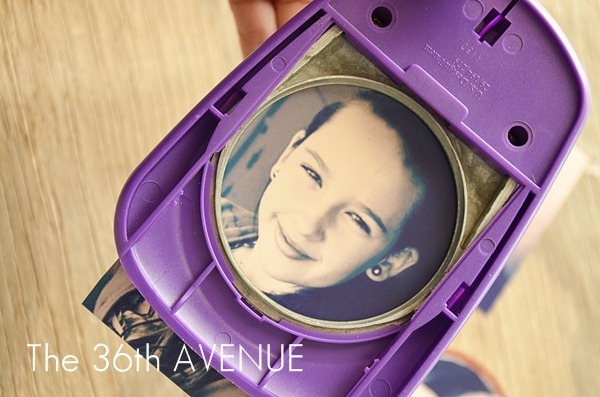 You can use any size, depending of the size you want to print your pictures. Finally, a magnet that I would LOVE to see on my fridge! Love this!